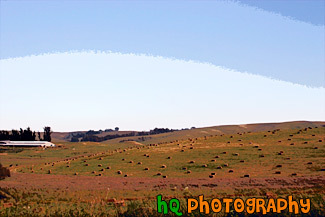 A scenic picture of a few big bundles of hay located atop a hill in Palo Alto, California. 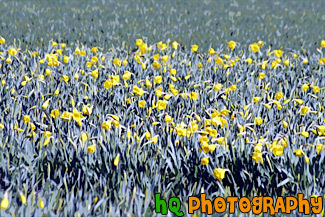 A scenic close up picture taken of a bunch of yellow daffodil flowers located amongst gree crops located in a field on a farm in western Washington State. 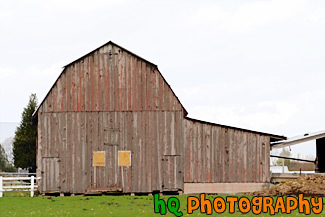 This is a scenic picture of an old barn in the middle of a big green grass field and hills. 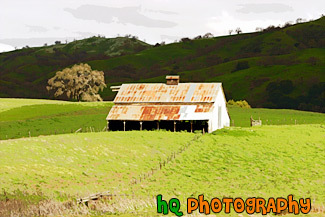 This barn is located over the hills of East San Jose. The hills are extremely green because of the un normal amount of rainfall that has hit this area in 2005 so far. 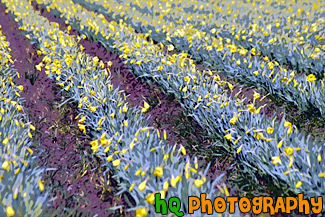 A scenic picture taken of many rows of yellow daffodil flowers located on a farm in Sumner, Washington. 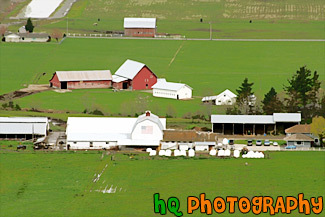 A scenic aerial picture of a farm located in the countryside of Enumclaw, Washington. This picture was taken from up the trail at Mt. Peak. Mt. Peak is a popular hike the locals take for a great workout. In this picture you can see a couple farms located on green grass fields. 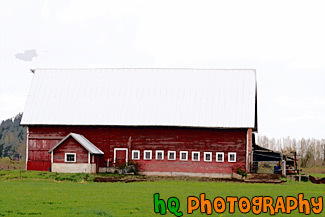 A scenic picture taken of a red barn with white markings looking through some tree branches. 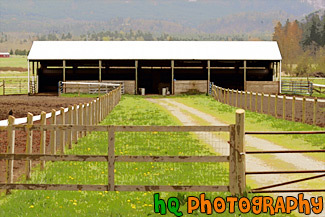 This barn was found on a farm located in the countryside of Enumclaw, Washington. A close up picture taken of a red barn with a basketball hoop mounted to the front of it. 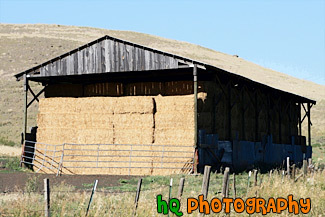 This barn was photographed in Washington State. 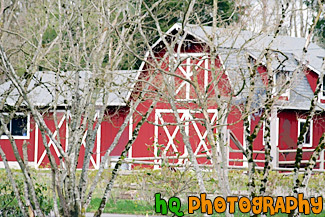 A scenic picture taken close up of a big red barn located in Washington State as you can see the tip Mount Rainier peaking over the hill in the background. A scenic picture taken of a black cow looking at the camera. 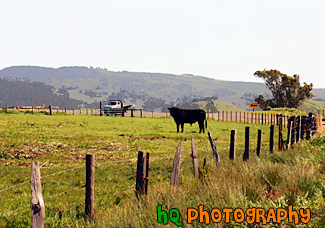 This cow was located on a farm in Marin County, California on a sunny spring day. 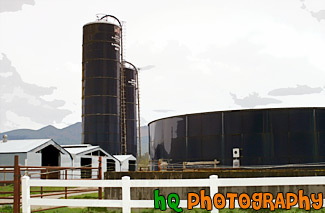 A scenic picture taken of a blue silo located on a farm in Enumclaw, Washington. This picture was taken on a cloudy day with texturous clouds. A scenic picture taken of a brown barn on a cloudy day with green grass in the foreground. This barn was located in Washington State. 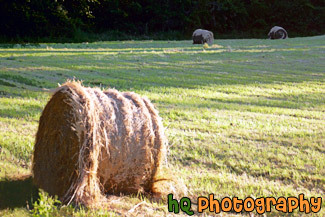 A scenic picture of some bundles of hay in a grass field taken during dusk. A scenic picture taken close up of rows of green cabbage located on a farm outside. 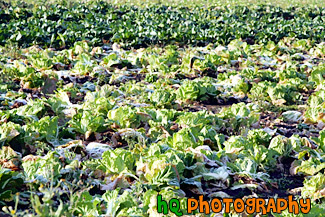 This photo was taken on an early autumn morning as you can see frost covering the cabbage. A scenic picture taken of a farmland located in Marin County, California near the coast. 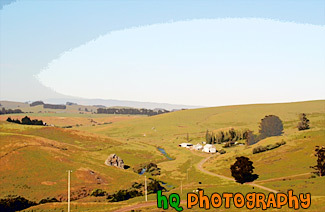 In this picture you can see the green grass of the field with some cows grazing the land on this sunny spring day. 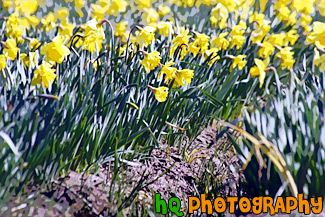 A close up scenic picture taken of yellow daffodil flowers located on a daffodil farm in Sumner, Washington. 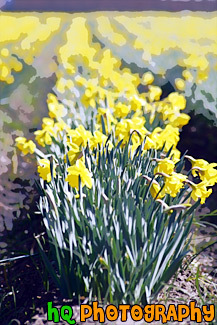 A close up picture taken of some green crops and yellow daffodils growing on a farm located in western Washington. 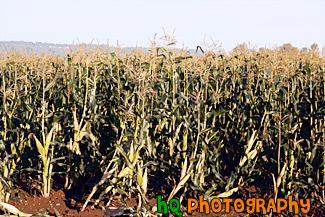 A close up photo of some corn crop located on a farm in Enumclaw, Washington. 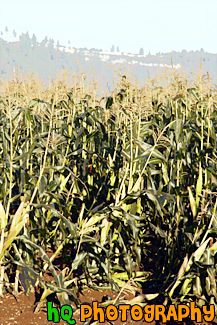 A scenic vertical picture taken of corn stalks growing in a field in Washington state. 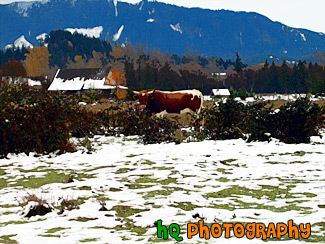 A scenic photo of a cow standing alone on a snowy and icy winter day on a farm in Enumclaw, which is located in Washington State. 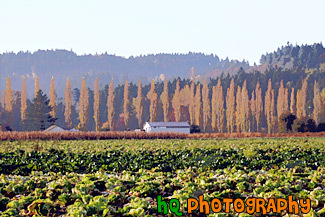 Enumclaw is located in the foothills of the Cascade Mountains about 30 miles from Mt. Rainier. Many other cows such as this one can be seen throughout the city of Enumclaw as it is primarily a farming town. 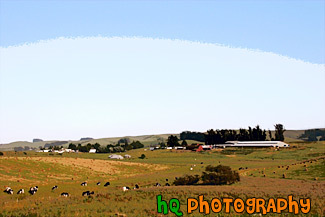 A scenic picture of a farm, some cows, and hay located on a ranch somewhere in Marin County, California on the way to the Pacific Ocean coast. 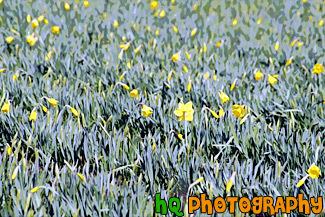 A scenic photo taken close up of green grass, crops and yellow daffodils located on some farmland in western Washington State. 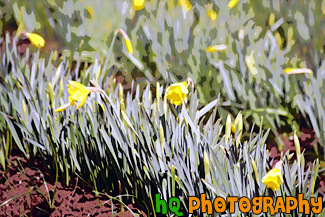 A scenic close up vertical picture taken of a row of yellow daffodil flowers locatd in a daffodil farm in Washington state. 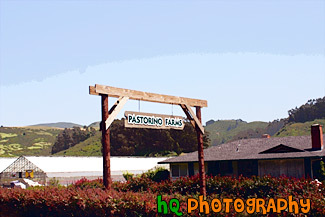 A scenic picture taken of a farm in Marin County, California. This picture was taken in the spring season when California received tons of rain therefore explaining the very green land and hills surrounding this farm. Marin County is located just north of San Francisco across the Golden Gate Bridge. A scenic picture taken of a farm during the fall season as you can see the brown trees in the distance. In the forground are rows of cabbage. This photo was taken on a sunny day. 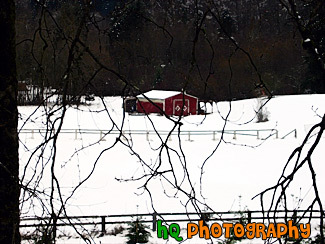 A scenic picture taken of a farm shed looking through fence/gate located on a farm in Enumclaw, Washington. As this was taken during the spring season, you can see the dandilions in the green grass heading towards the shed. 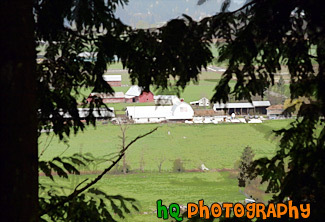 A scenic picture looking down at a farm through evergreen trees from high up on the trail of Mt. Peak located in Enumclaw, Washington. A scenic picture taken of a farm located in Northern California near Marin County with a bunch of hay stacks neatly placed over the fields. This picture was taken on a beautiful day with blue skies all around. A scenic picture taken of a farmland field during fall season as you can see the tree's leaves changing color. This photo was taken near Orting, Washington on a partly cloudy day. 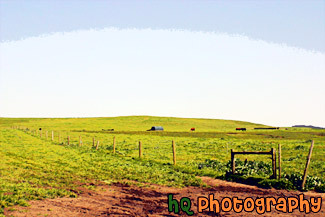 A scenic picture taken of farmlands located in Northern California on a beautiful blue sky sunny day. A scenic picture of a typical farmland found in Washington State during the summer season. You can tell it is summer by the brownish color of the field along with the summer wildflowers shown in the foreground. 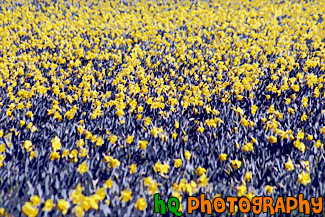 A scenic picture taken of a daffodil farm field full of these beautiful yellow flowers. 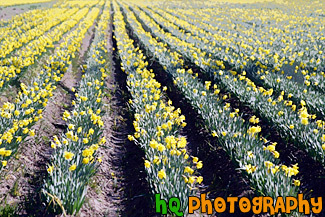 This daffodil farm is located in Sumner, Washington. 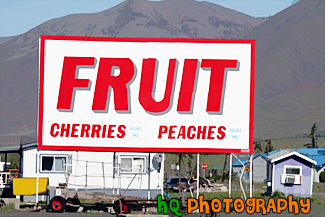 A big picture of a Fruit sign located in the farming country in Eastern Washington at Naches. 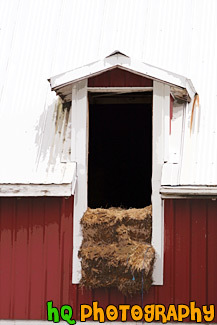 A close up picture taken of some hay hanging out of a window of a red and white barn. 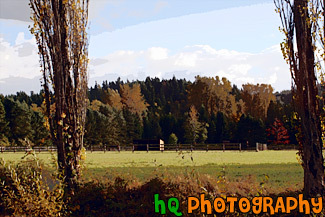 This picture was taken on a farm located in Enumclaw, Washington. 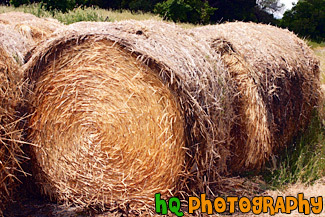 A scenic picture taken close up of a barn shed full of hay. 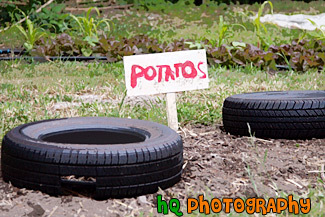 A scenic picture taken of the potato's sign located at the Green Gulch Farm in Marin County, California. 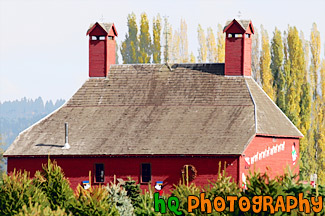 A scenic picture taken of a red barn located in Washington State with some Christmas decoration seen on the side of the barn. 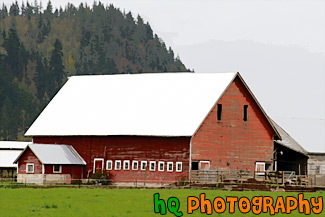 A scenic picture taken at an agle of a red barn located on a farm in Enumclaw, Washington. This picture was taken on a cloudy day and you can see the right side of Mt. Peak in the background. 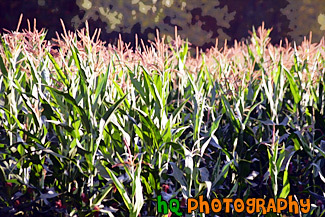 A scenic picture taken of rows of corn stalk crop located on a farm field on a sunny autumn morning. A scenic picture taken of many rows of green farm crop with yellow daffodils growing within. 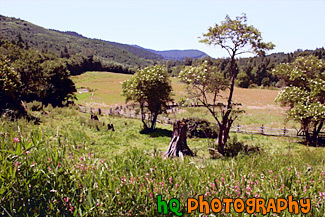 This photo was taken on some farmland located in western Washington State. 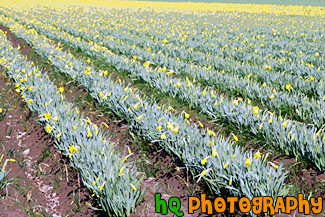 A scenic picture taken close up of many rows of a green crop field filled with yellow daffodils located on a farm in Washington state. 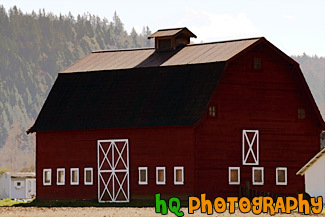 A scenic picture taken of the side of a red barn located on a farm in Enumclaw, Washington. This photograph was taken on a cloudy day. A scenic, vertical close up picture taken of Swiss Chard lettuce at the Green Gulch Farm located in Marin County, California. 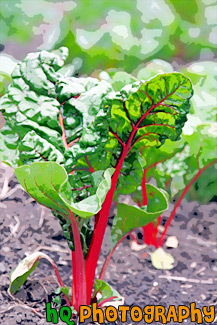 Swiss chard is a lesser-known leafy vegetable that is similar to spinach but has more flavor. 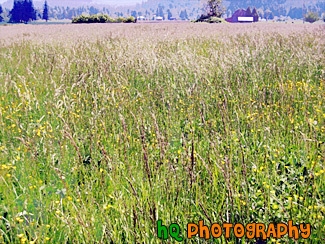 It is loaded with vitamin A and some vitamin C.
A photo of a farm field with tall grass and weeds located in Enumclaw, Washington. In the distance you can see a red barn. 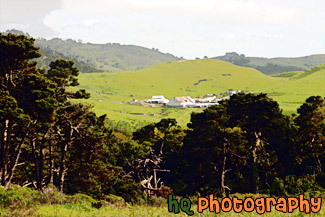 A photo of a little ranch or farm that is located in the hills of Half Moon Bay, California. 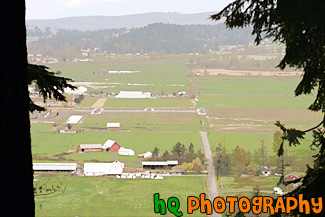 A scenic picture taken looking down at a couple farms and country land located in the small town of Enumclaw, Washington. This photo was taken from one of the popular hiking trails of Mt. Peak. 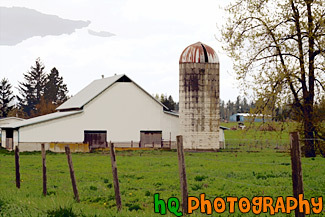 A scenic picture taken of a white barn, dirty silo, fence and a tree located on a farm in Enumclaw, Washington. This photo was taken on a cloudy day. A photo of snow covering the country side of this farm located in Washington State. This particular season Washington had a great winter season full of many snow storms. You can see a small red barn in the middle of the picture.